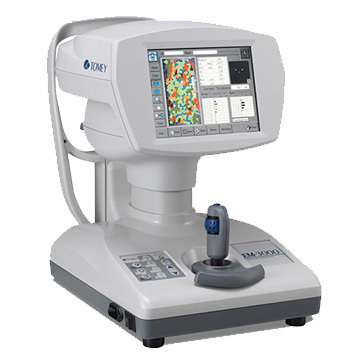 The Specular Microscope EM-4000 provides corneal endothelium images by using the specular optical principle with full automatic alignment. 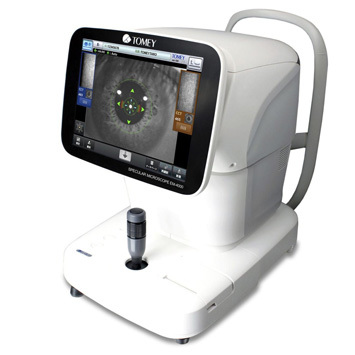 EM-4000 uses LED light source and a high-speed CCD camera to capture 16 images in series. It automatically selects and instantly displays the finest one from these images. It can perform not only automatic analysis but also two manual analyses "Core method" and "L count method" with built-in software. EM-4000 has database function and allows you to store and re-analyze with built-in database. 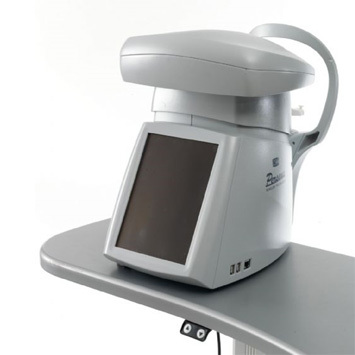 If patients have a characteristic diseased condition such as cornea guttata, EM-4000 can automatically determine and exclude them from the analysis result by "Dark Area analysis function".